It’s been eight months since our last post, but man has it been an exciting eight months. Since we last spoke, I’ve finished my bachelor degree, travelled the world, brewed a few beers, turned one of my older posts into a capstone paper and presented it at a conference, and built a drama and arts ministry up from the ground to be a growing and thriving entity. That’s why I haven’t been posting. You see, all of this has made for a rather exhausting season for me. Rewarding, most certainly. And planned, of course. But in the end, I was barely able to maintain work, ministry, school, and family. Something had to give, and Epic Theology drew the short straw. I have stories to tell about the last year. Brilliant successes and humbling failures. I started this blog because I had something to say about Christianity and the Arts. Now, I’ve been living in the midst of the coming together of these, and I want to help others trying to do the same. So, it’s a new beginning, of sorts. Don’t worry, we will still have some of our favourites, like Faith and Film, or short stories. But we will also be trying to add interviews with local artists, and I’ll be scouring around for new forms of art to share. If you want to be featured on EpicTheology, or you know someone who would, just let me know. Thank you for your patience. Especially those friends and family who have been reminding me that I haven’t been writing. Your encouragement and prodding have been noted and appreciated. This, in part, is for you. 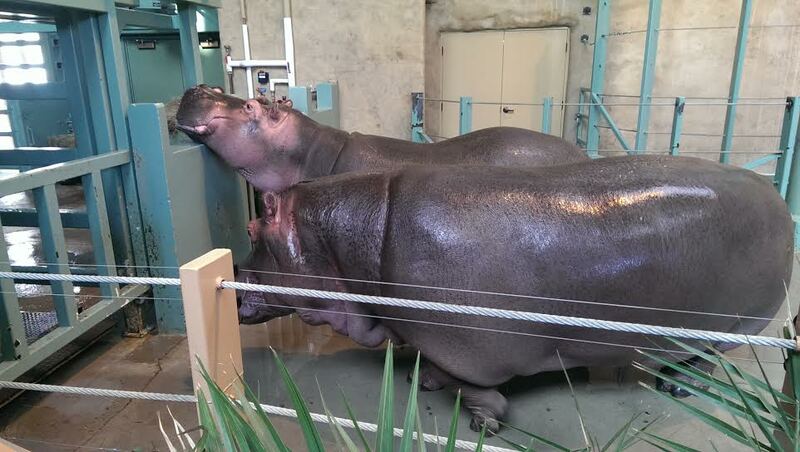 And, finally, for your viewing pleasure: a picture of two hippos.